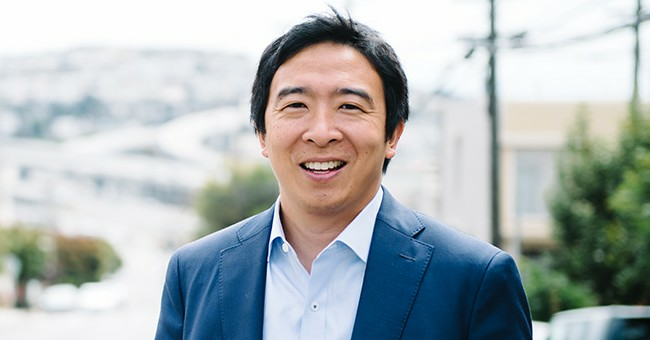 Presidential hopeful Andrew Yang has come under fire with sarcastic replies to a tweet he posted Monday evening. What was supposed to inspire confidence in his potential voters, instead was met with scorn from several users. Climate change blogger Steve Goddard currently has the top comment, defacing Yang's use of a mostly religious word. So does mine. I study and examine science, not "believe" in it. Scientists are wrong about things all the time, and always have been. Chuckie Finks had one of the better comebacks, taking a dig at leftism in general rather than Yang himself. So, two sexes then. I too believe in science. Others decided to play with the statement rather than turning it into a deconstruction. My kindergarten friend fell out of a tree and broke his arm. My father was a tailor ... sewed my new blue jeans. My grandfather was a plumber. I believe in flushing. My father was in real estate. I believe in non-sequiturs. Yang is one of the perspective candidates for the Democrats' run in 2020. He is in support of giving a $1000/month "Freedom Dividend" to all U.S. citizens over the age of 18. This would be a form of universal basic income. His campaign slogan is "Humanity First," calling attention to his belief that automation in many key industries is one of the biggest threats facing the U.S. workforce. As of March of 2019, he has received donations from 65,000 donors from at least 20 U.S. states.